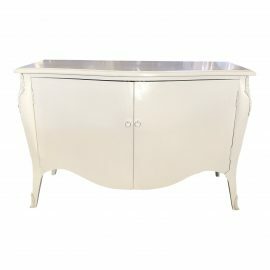 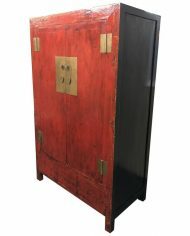 Design Plus Gallery presents a vintage Chinese wedding chest. 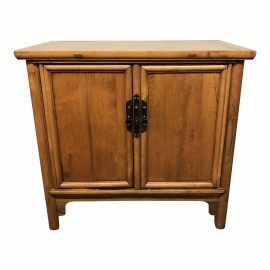 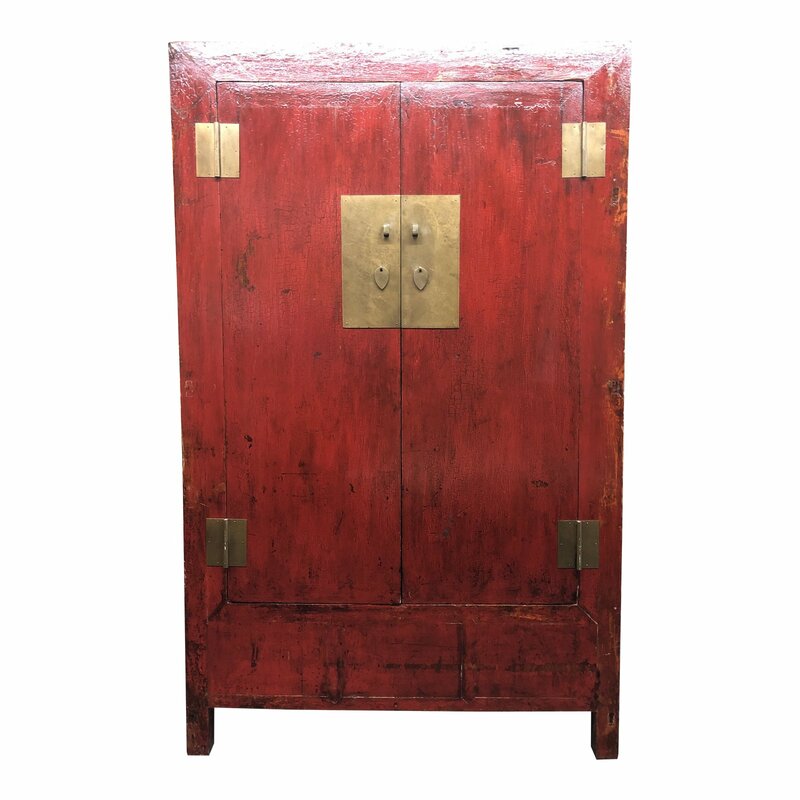 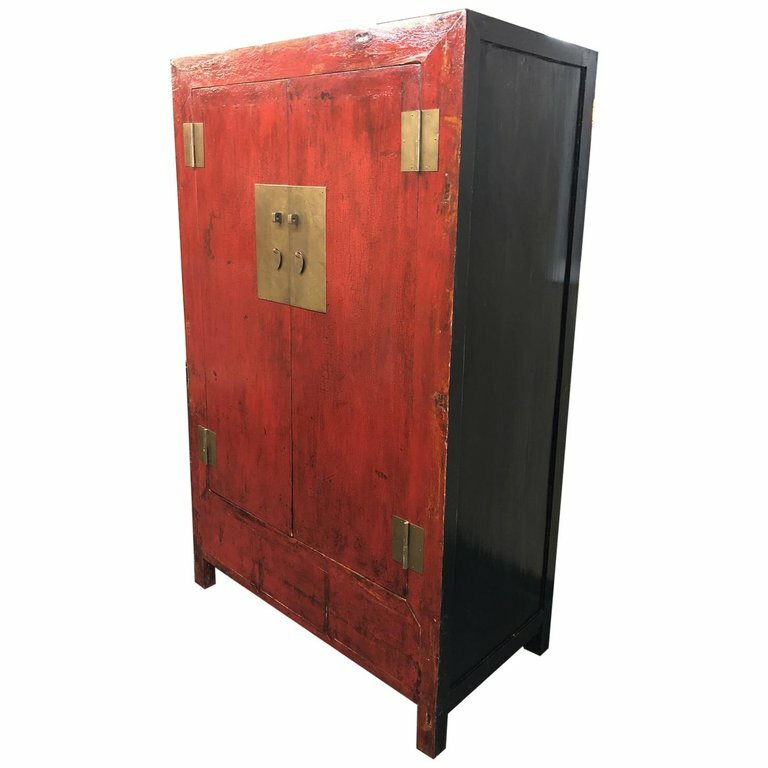 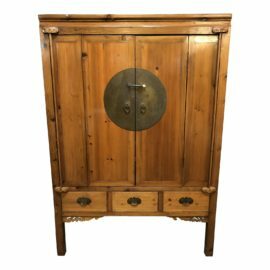 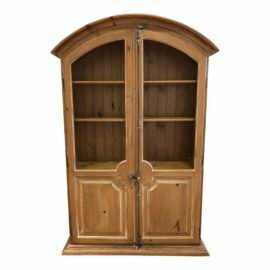 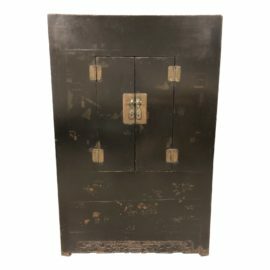 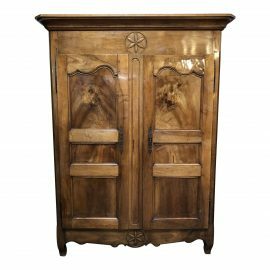 In the traditional Chinese style, this piece includes a square metal frame with crossbar lock and key in the center of the piece just above the cabinet pulls. 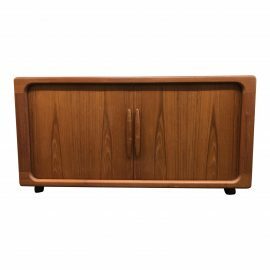 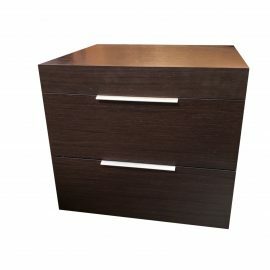 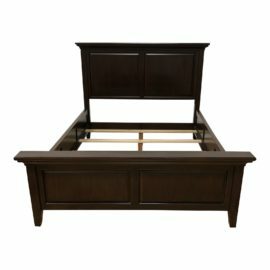 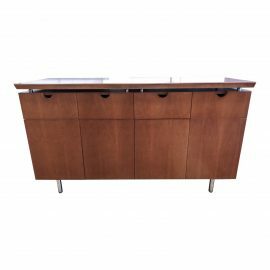 The inside has visible wood with two pull drawers. 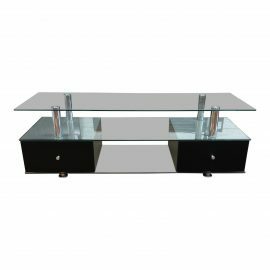 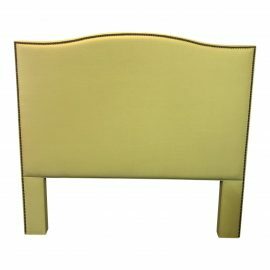 The finish has a natural distress with hardware metal in a brass finish.